#BBQthermometer Have you ever been grilling steaks, and they looked so good but when you cut into it it was way overdone? 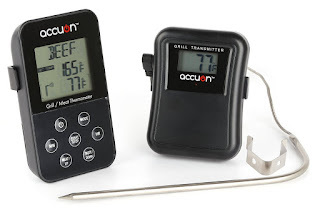 That doesn't need to happen anymore if you own Accuon Wireless Digital BBQ Thermometer. 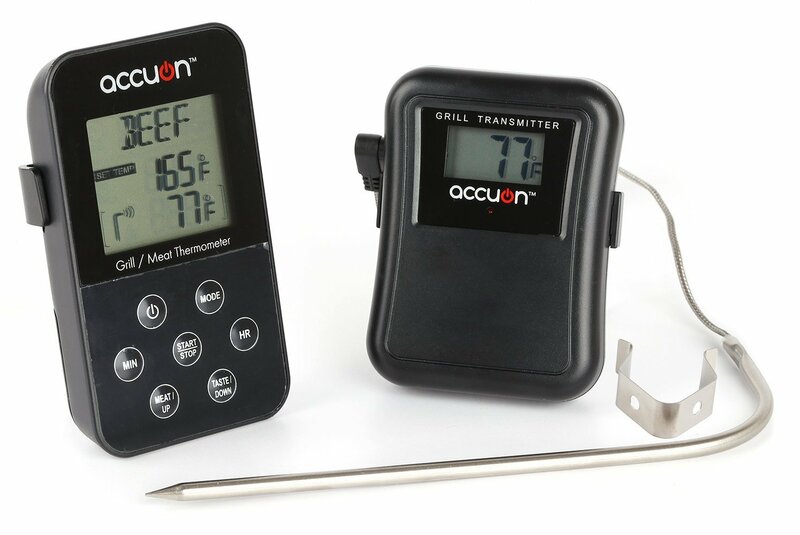 You can monitor the internal meat temperature for up to 120 feet away. That gives you so much freedom to do other things while the meat is cooking. It has several pre-programmed meat settings such as beef, chicken, veal, pork, turkey, fish and hamburger. Has a kitchen timer mode too that will beep if your timing something cooking too. Will read temperatures up to 572 degrees F. You can choose to display either Celsius or Fahrenheit too. It's very accurate so no more guessing how your meat will turn out. I'm a fan..every cook, whether it's in your kitchen or grill, should have one.